On the backside of red n°20, on the boulder of Plats de Saison. Sitstart to the left with an undercling, take a tridoigt, traverse to the right for 2m50 on slopers and exit at the end of the face in With Love. 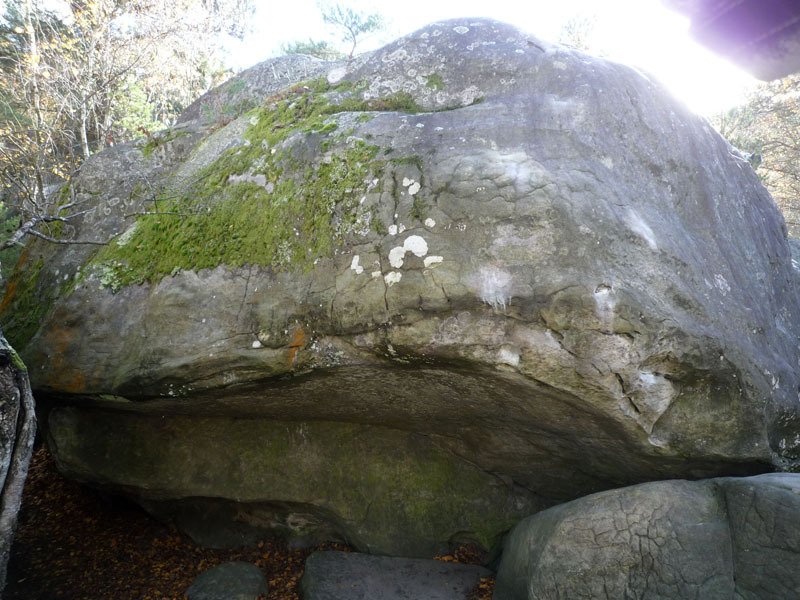 NB : the boulder has been brushed by Arturas Volkovas.